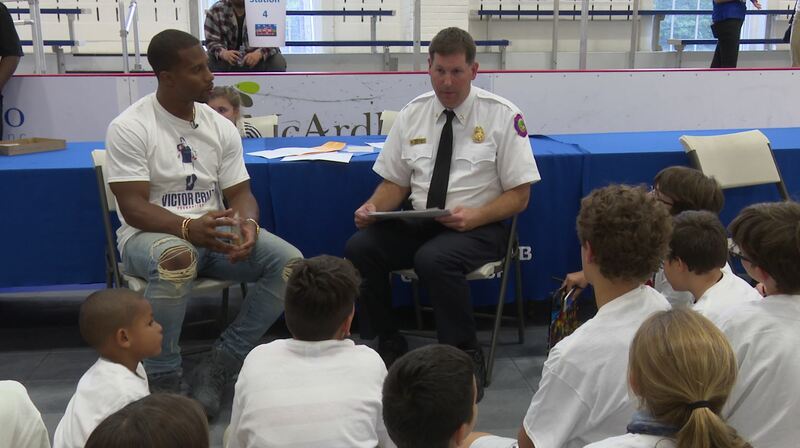 Kids at the Boys and Girls Club of Greenwich got a “Giant” treat on Monday, October 17th when Victor Cruz, fresh off a win Sunday against the Baltimore Ravens, stopped in to sign autographs and offer a lesson in fire safety and STEM. 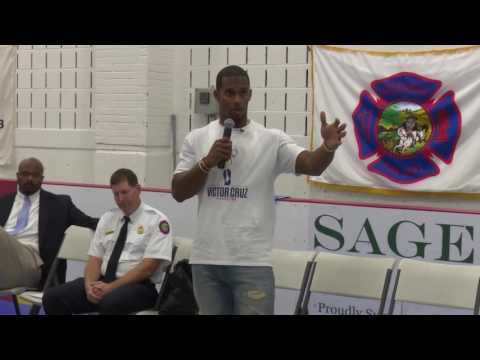 While not a town resident, Cruz was able to connect with the kids easily as he grew up going to his local Boys and Girls Club in Patterson, N.J. after school. 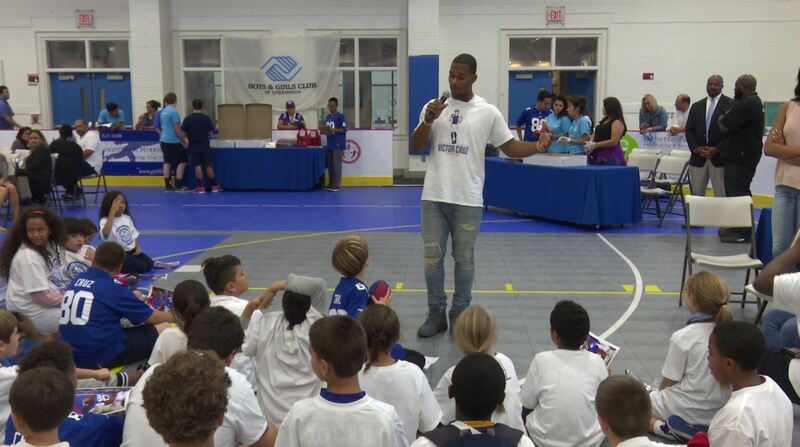 “The Boys and Girls Club was very instrumental in my life and instrumental in the person I’ve become,” said Cruz. “It taught me resiliency and teamwork and how to get my work done,” he said. “It also taught me so many things about life in general and I know it does wonders for so many kids”. 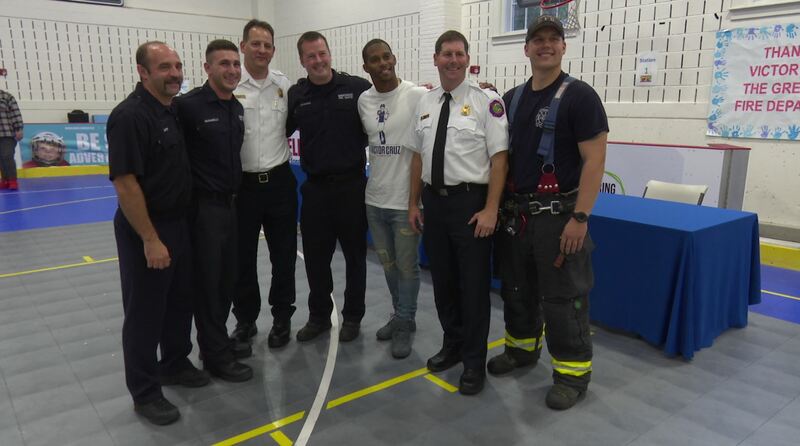 As part of the event, kids got to learn about fire safety directly from members of the GFD who are marking Fire Prevention Month throughout October. In addition to getting a look at a fire truck and fire fighter equipment, lessons like safety with matches, calling for help and “stop, drop and roll” were reinforced.The kids were given plastic fire helmets and a fire safety pack. But they weren’t the only ones who received a gift. 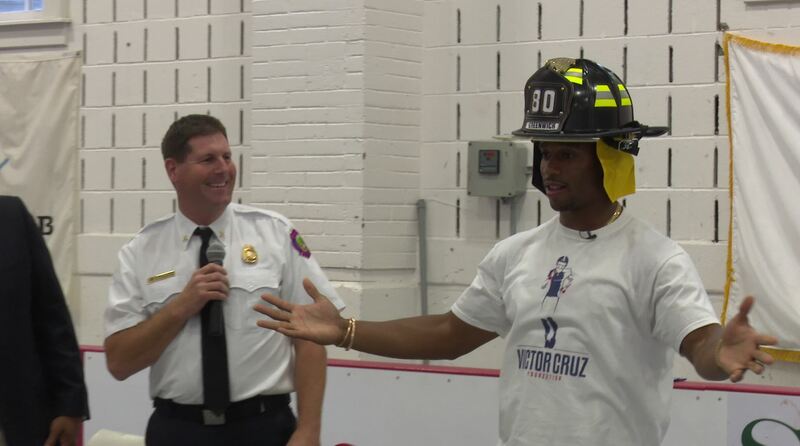 Cruz was presented with an official GFD fire helmet, one with his uniform number 80 on it.